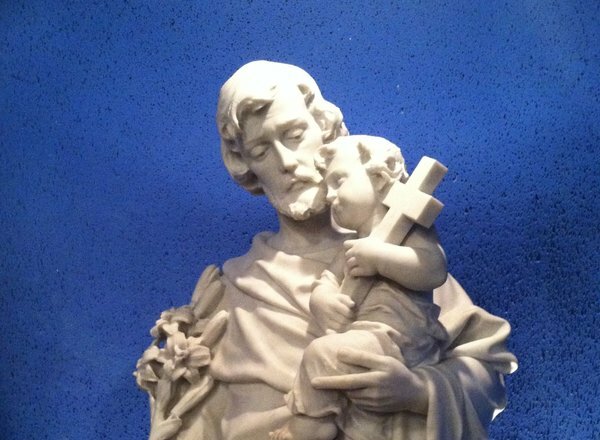 Here’s Day 7 of the St. Joseph, Husband of Mary Novena! Dear St. Joseph.. Please pray for us and everything goes well my visa be granted… thank you so much.. I am thankful and grateful praying this novena for complete healing of my son, husband, myself, daughters, grandchildren, son-in-law, daughter-in-law, siblings and their families, cousins, extended families, friends, colleagues, world peace, helping us cope in this difficult situation, keeping us strong, safe from all illnesses, dangers and calamities. Dear Lord, Infant Jesus, St. Joseph, Blessed Mother, St. Peregrine, Our Lady of Lourdes, Our Lady of Fatima, Mother of Perpetual Help, we believe in your powerful intercession, guidance and grant our petition, give us all back good health, peace, love, unity, serenity, supporting one another, keeping our home safe, healthy, bringing our family much closer to God and Church. Please continue on enlightening our minds and hearts, make it easier to transition to much healthier, more plant-based nutritious foods, exercising on regular basis, and all medical team members exercise good judgment and provide the best medical and alternative care. Most of all, may our son and the rest of our family steadily continue making all necessary changes to improve our overall health. I am praying and hoping that my son’s next scan will provide great improvement. Help us find the best alternative and conventional treatments for our complete healing and recovery. Help me with the scheduling and winning my appeal. It would be great help for the medical expenses for my son. Help me stay sane, calm, peaceful, relieve my stress, stay positive and completely leave everything in Thy care and protection. Thank you for all our blessings. Help me decide if studying functional and alternative medicine is a good choice to help us all with our health problems and also to be able to help other people in need. God bless us all!!! St. Joseph I beg your intercession on behalf of Beth as she enters into the mediation process. I pray for strength, clarity, enlightenment, and grace for her. I pray for Joseph who is seeking employment. I pray for all those whose intentions are listed here. Our heavenly father, through the intercession of St Joseph, we thank you for our lives and we ask you to protect us from all types of ailments including evil attacks. Keep us covered in the blood of Jesus and be our guide every minute of our lives. Amen. Please keep my family safe. That my husband and l can continue to help each other with love and kindness. In the name of the father. Pray for all young people of whole world to be like Saint Joseph. Pray for little young ladies in this country whom have kids,a baby growing another baby,if the parent,school failed in Educacion’values the churches can do it. I pray for my beloved country,Perú,can stop nature disaster. St. Joseph please pray for the safety and protection of my whole family, for the healing of the relationship especially between mommy and nanay. Please also pray that i may successfully graduate this april 2017. St. Joseph please pray for the salvation of our sins, may God bless us continuously depsite all our mistakes.